Ahh, Facebook. The ultimate robber of time and, if you’re a digital marketer, your social advertising budget (if you’re not careful). Over the past few years, Facebook has rolled out updates to its advertising platform that have made it increasingly easy to spend money on promoting your brand in various ways, alongside it becoming increasingly difficult to get your posts to show up to your fans organically (see this eye-opening ‘Facebook Zero’ report on organic post reach by social@Ogilvy for more on this). Trouble is, while it’s incredibly easy to pour a whole load of money into Facebook, see your brand’s fanbase get bigger by the day and congratulate yourself on 'mission accomplished', if your Facebook efforts are to truly deliver ROI then you’ll have to be able to match them with cold hard sales. And in order to make cold hard sales, your ad campaigns must first be targeted at people who are likely to buy stuff. This blog post will explore the mistakes that advertisers make with their Facebook advertising strategy that lead to wasted money. Acquire more customers - You’ll want to think about calculating how much you spend to acquire each customer (read exactly how to calculate that here) from your Facebook ads over a set period of time, not forgetting to measure the quality of customers each channel brings in by looking at the LTV (lifetime value) to cost of customer acquisition (CAC) ratio. Increase brand recognition / engagement - Altogether ‘fluffier’ metrics to track, you can use Facebook’s analytics to measure impressions and engagements. Measuring brand recognition is a toughie, and accurately working it out is likely to be a costly market research exercise. Targeting existing customers - Use your analytics tool to look at which channels are driving repeat purchases, segmenting by source. For more on measuring individual Facebook ad campaigns and the number of conversions you’re getting, read this fantastic post on tracking Facebook ad conversions. The argument goes like this: these days on Facebook, you can target ads at people regardless of whether they like your page or not. If it’s becoming increasingly unlikely that even fans will see your posts organically, focusing all of your marketing budget on earning brand likes could prove to be a costly exercise - you’re essentially paying multiple times: to acquire a ‘like’, then for your content to appear in front of that person. You're also paying to build a community that you don't 'own' or have full control over. On the flip side, there’s certainly a brand-building element to achieving page likes, and having scores of Facebook fans is certainly nice in terms of the social validation it brings. There's also evidence to suggest that people who are 'fans' of your page are more likely to convert into customers (for more on this read this article on Inside Facebook. If you do decide to advertise for page likes, make sure that it is a small part of a far wider Facebook advertising strategy that focuses on promoting killer content that links to your website, as well as ensuring all of your ads are laser-targeted at the people most likely to become customers and brand advocates (more on targeting below). We all know by now that naff content isn’t going to bring home the bacon. But when you’re trying to develop a lean Facebook ad strategy that’s focused around generating sales, it’s more complicated than that. Only promote content that includes a link to your website. Paying to promote content that simply sits on the Facebook platform and doesn’t go anywhere (or worse, links to someone else’s website!) is not going to lead to sales. Always include a link in your ads. Don’t promote anything that doesn’t have a clear customer action associated with it. 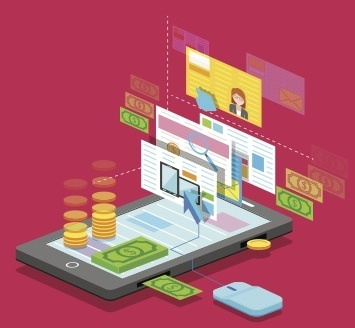 In ecommerce, this means ensuring that whoever clicks on your ad are only a few clicks away from purchasing and that there’s a clear path to purchase (for example, creating an ad that lands on the ‘new season collection’ category page where they can click through to product pages and, ultimately, buy). If you’re promoting content that’s more editorial in style, make sure that it’s easy for customers to buy the products you feature (for some great examples, see this post on brands making content shoppable). Don’t promote content that will quickly become dated. While timely, relevant content always performs well on social media, ensure that you have a solid plan of action for promoting content well in advance, as there can be a delay in it showing. Test ads organically first. While organic reach is undoubtedly dwindling, your Facebook posts will still be reaching some of your Facebook fans. Use Facebook’s page insights to check out the performance of your posts and how many clicks they’re achieving - and if a post is doing particularly well at driving clicks to your website organically, promote it! Use images. We’ve all seen the stats about images driving greater engagement on Facebook posts. And luckily, if you’re an online retailer, you’re likely to already be equipped with great images of your products that you can use in your ads. Whether you choose to feature individual products, collages of multiple items or lifestyle images, ensure that all of the items you display are shoppable from the first page that the ad lands on. And remember, test and rotate you images to find out which perform best! But how do you decide what images to use? This post from Nanigans recommends going for mid-range items that will be affordable to your Facebook fans. Another great hack for choosing which products to feature in your ads is working out their ‘click propensity’. For example, if you’re promoting a range that is already live on your website, work out how many clicks each product has achieved as a percentage of how many people have viewed it in the category page (by dividing total number of category pageviews by the number of clicks for each item). 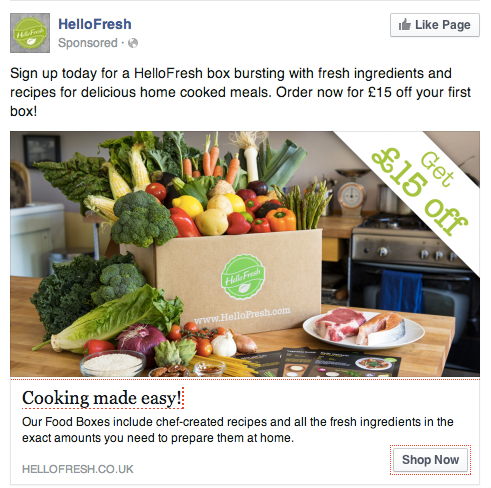 These are the products that you should bring to the fore in your Facebook advertising. Facebook’s Power Editor is basically a more powerful version of the ad manager that sits within the Facebook platform. It’s a serious tool for people who want to see some serious results from their Facebook ads (seriously). Turbo-charged audience targeting. Power Editor empowers advertisers to be a whole lot more specific with who they serve their ads up to. This will be covered in greater detail below, but brands are able to create custom audiences (where they can use existing data such as email addresses or phone numbers to target users on Facebook), ‘lookalike’ audiences (where they can target people who are similar to existing customers) and use ‘partner categories’ (where they can target users based on data collected by third parties). Device targeting. Using Power Editor gives you greater control over the devices your ads will appear on. On top of choosing between newsfeed or right hand column ads, you can target based on whether the user is on a mobile, what mobile operating system they’re using, whether they’re using an iPad; you can even choose to target users connected to WiFi (particularly useful for those promoting a video or large download). Bulk editing and importing. Use Excel to create all of your ads and upload them in bulk instead of fiddling around within Facebook platform. More bidding options. On top of familiar faces like CPC and CPM, Power Editor enables you to manually optimise ad targeting for things like clicks, reach, actions and social. Images. All of the imagery you use for ads is stored in one place - great news as it makes it easier to both re-use them and to compare performance. Retargeting is an incredibly powerful tool for re-engaging people who have already shown an interest in your brand - whether they’ve visited your website, signed up to your mailing list or been in contact with your brand through various other touchpoints. Brands have been able to use Google’s display network to retarget lapsed visitors for years, but now they can also use Facebook to get visitors back onto their website. Facebook lets you use offline/non-Facebook data to build audiences for your ads. In real terms, this means uploading your email lists (via Mailchimp or CSV file) or phone numbers to the Facebook advertising platform, ready to serve ads to. Just as segmenting your email lists is important, remember to segment your custom audiences on Facebook too to make your ads as targeted as possible. This could mean having a separate audience for groups like your ‘hero customers’. As your email list grows, remember to keep your custom audiences up to date too. Use ‘lookalike’ audiences (covered below) to target people who are similar to your subscribers. FBX is Facebook’s real-time social ad exchange. Sounds complicated, but the premise is pretty simple: it lets you target users instantaneously with ads based on their recent behaviour on your website. 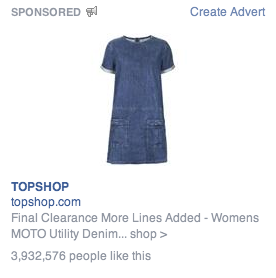 This could mean targeting them with ads for items they’ve recently viewed on your store (the ad to the left appeared straight after I had viewed the dress on the Topshop website), and is also an often-used tactic for winning back those who have abandoned their baskets. A number of companies (known as DSPs) offer Facebook retargeting to brands - the full list can be found here. Over the past few years, Facebook has enhanced its ad platform to enable advertisers to be incredibly picky about who their ads appear in front of. Which is great news for brands who want to get the most bang for their social advertising buck. Here is a rundown of your Facebook targeting options (other than the retargeting that has already been mentioned). Basic targeting. This enables you to target Facebook users based on their age, gender, location (country, city, region, ZIP code), mobile credentials (device, OS, WiFi connection) or whether they’re connected or not to your brand. If your brand targets multiple countries, create custom ads that cater to that region’s currency, climate, customs and events. If you’re creating a video ad, targeting it at those connected to WiFi is likely to yield better results. Create different ads for those who have liked your page and those who haven’t. For example, foster loyalty amongst your existing followers by offering discounts and offer codes. Advanced targeting. This enables you to target Facebook users based on their interests (topics and pages they’ve expressed an interest in), behaviours, advanced demographics (relationship status, preferences, life events, politics, home type, etc. - full list here), education and workplace. Look into using Facebook’s partner categories, which help you hone your targeting using third party data from Acxiom and digital media and offline purchasing data from Datalogix. This enables you to get seriously targeted with your ads - to date there are over 500 categories covering anything from seafood buyers to affluent baby boomers. Any comments or suggestions? Drop me a comment below!